Considering the affordable cost, world-class features, and incredible ease of use, SITE123 is an inspired choice for anyone on a budget who has big ideas but minimal time to build a website. SITE123 is designed so that anyone can use it no matter how novice or inexperienced they may be. The friendly site wizard is there to guide users through every step of the process from choosing layouts to drafting content. Users can even access features that were previously only accessible with complicated design work, such as adding video backgrounds and creating stunning image galleries. Other features include attractive layouts, ecommerce capabilities, email marketing tools, and hundreds of high-quality stock photos that are completely free to use. All users receive free hosting, and premium users even receive a free domain name to help them establish a more professional, personalised online presence. More web searches are now conducted on mobile devices than on desktop computers, and so it’s absolutely critical to have a website that’s mobile-friendly. SITE123 uses responsive layouts that conform to different screen sizes, and this means that all websites hosted on the platform are automatically optimised for computers and mobile devices alike. There are a few other visual elements that further put SITE123 over the top. In addition to creating stylish image galleries and video backgrounds, users can use the audio and video tools to create high-quality multimedia content in the form of podcasts, live radio streams, video diaries, and more. Users can even choose from hundreds of custom fonts in the Google Fonts Library to further customise any layout. Every website builder falls short in one area or another, and with SITE123, the biggest shortcoming is in the template department. While other site builders offer massive galleries of ready-made templates designed for every conceivable industry and need, SITE123 takes a completely different approach. 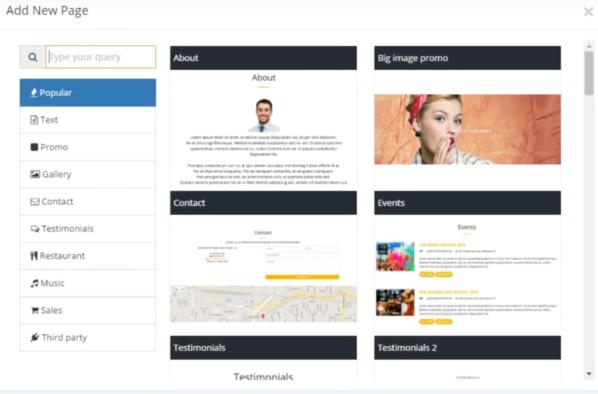 Rather than offering traditional templates, the platform offers a series of basic, customisable layouts. 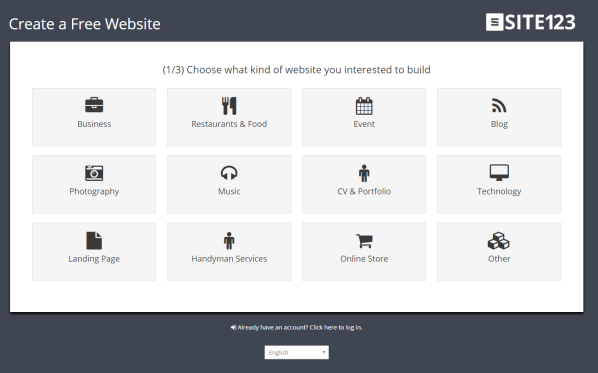 Upon registering, the user is asked to choose the type of website they’re trying to build. There are a dozen options, including “Online Store,” “Restaurants & Food,” “Photography,” and “Blog.” Once an option is chosen, the platform automatically provides a basic layout that’s tailored to that type of website. From there, the user can customise it and make changes as needed. Visual adjustments can be made from the “Settings” menu, and the user can use the database of images and icons to further personalise the layout. The basic plan is absolutely free. Even better, it provides the user with access to all of the platform’s robust features. The only drawback is that the free plan allows for less storage capacity and requires the user to maintain a bit of SITE123 branding and advertising on their site. Bandwidth is capped at 1GB per month, and storage is capped at 500MB. Compare that with the $9.80/mo premium plan, which allows for 5GB of monthly bandwidth and 10GB of storage. Also, the premium plan includes no SITE123 branding and allows users to connect their own domain. There are a few premium website builders that offer comparable features at a lower price, but that’s hardly a deal breaker. After all, the SITE123 plan is available with no contracts and no hidden costs. Add to that the free domain name, and the platform certainly provides a value worth considering. Without exaggerating, we can honestly say that SITE123 has one of the easiest interfaces we’ve seen in a site builder. Everything in the left column navigation is clearly labelled and easy to understand, and all of the menus are easy to access. It’s remarkably simple to edit the segments on a page in real time, and taking a website live is as simple as clicking the “Publish” button. The minor learning curve is offset by the setup wizard, which guides users step-by-step through the entire website-building process. The wizard showcases how to use each navigation option, outlines the functions of each menu, and can even guide in the complete building of a website from start to finish. Of course, users who are already comfortable with web-building environments can turn off the wizard and get right to work. The sign-up process is also a breeze. Just click “Start Here,” enter a couple of details about the website, and start building. Since SITE123 is available for free, no credit card or payment information is required for sign-up. A user can familiarise themselves with the platform and then decide if it’s worth paying the $9.80 per month. While SITE123 doesn’t have the most sophisticated feature set in the industry, it does offer enough to satisfy the needs of most webmasters. The free image and icon gallery makes it easy to customise the look of a website, and the SEO tools are great for anyone who’s serious about achieving high search engine rankings. Each site receives an auto-generated sitemap and robots.txt file, and these files provide a roadmap for search engines to properly index every page of the site. In addition, the keyword tool allows users to optimise their sites for specific terms that are relevant to their business, industry, or niche. SITE123 also makes it easy to create stylish image layouts, host a blog, and ramp up user engagement with audio and video feeds. Newsletter and email marketing tools are available without the need for a third-party client, and any user can create unlimited web pages even at the free level. The platform could definitely benefit from a third-party app store and some basic analytics tools, but all in all, it’s an impressive suite of features. The real standout feature is the ecommerce functionality, which includes features that are seldom seen at this price point. The user can fully customise the look and feel of their online store and manage an unlimited number of products right from their dashboard. Stores are integrated with PayPal for easy and secure credit card transactions, and the platform even supports wire transfer processing. The user can set up different currency options for international sales, and there are even conversion tracking metrics so that the user can monitor how specific products are doing. SITE123 definitely needs some work in the customer support department. Their site doesn’t offer any real tutorials or support content aside from the wizard, and there’s no phone number to call if an issue arises. There is a Live Chat feature for members, but response times can vary, especially outside of standard business hours. Email support is also available at support@site123.com, and there’s a Contact Form on the company’s website. Most inquiries are addressed within 24 hours. The site could really benefit from a Help Centre and an active user forum. In addition, a phone number would make it much easier for users to communicate specific issues and resolve problems. Thankfully, the platform is pretty stable and reliable, so emergencies shouldn’t be a common occurrence. 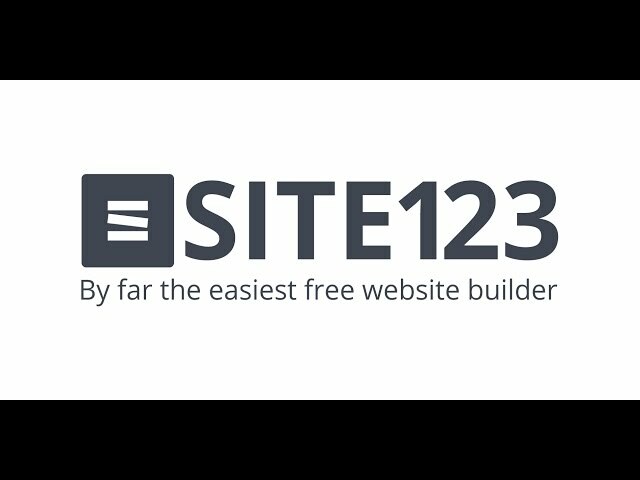 SITE123 is a solid website builder that should satisfy most users. The lack of custom templates is a bit disappointing, but the rich customisation features make it possible to build a stunning site regardless. Best of all, the setup wizard ensures that these customisations are within reach for users of all skill levels. But while the stylish image galleries, email marketing tools, free domains, and audio/video features are all nice touches, it’s the ecommerce functionality that really puts SITE123 over the top. Users can accept credit and debit cards, offer coupon codes, and track all of their inventory from one convenient dashboard, and these features are all available at a price far lower than most shopping cart platforms charge. SITE123 could still benefit from some third-party app integrations and enhanced customer support, but all in all, it gets the job done. SITE123 currently doesn’t list a physical address on any of its web properties. Anyone who needs to get in touch with the company is encouraged to use their contact form or visit one of their social media profiles.